The eight teams attending the Minor will have one last chance to make the MDL Paris Major. After the initial 15 teams earned their spot in the MDL Disneyland Paris Major, the squads on the outside were left to fight for a spot in the connected Minor event. The OGA Dota PIT Minor held qualifiers in all six of the major regions, pulling the top teams that failed to make it into MDL Paris on their first try. 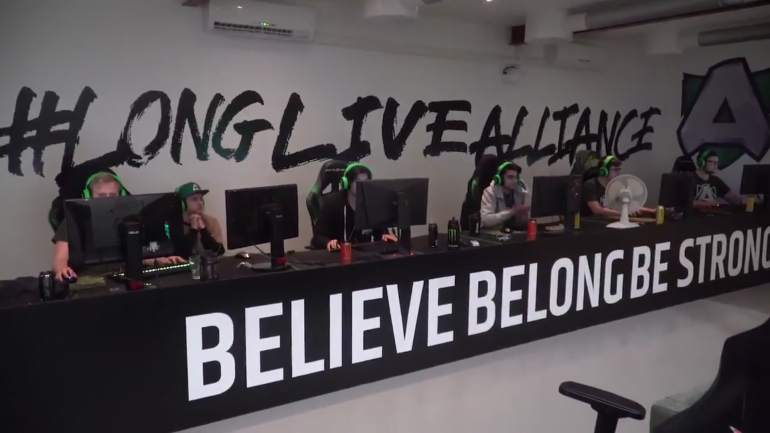 With the high level of competition set, Forward Gaming were the first team to claim their spot in the Minor. After rebuilding their roster following a mix of middling results and player retirement, they managed to defeat J Storm 2-0 in the grand finals to win the North American slot. South America saw a brand-new organization, Pacific Esports, plow through several high-caliber teams like Infamous and Thunder Predator. With their victory, they’ll be playing in their first large tournament since forming in February. Gambit Esports bested both Natus Vincere and Old But Gold to make their way in from the CIS region. They’ll be looking to make their first Major since The Kuala Lumpur Major. In Southeast Asia, BOOM ID continue to look like one of the top teams in the region as they faced very little competition. Along with Fnatic and Minseki, BOOM are a top contender from the SEA region. China had a very-heated qualifier, with Royal Never Give Up, EHOME, and Newbee looking like they were in a position to make a push into the Minor. But RNG claimed the first spot by knocking off EHOME in the upper bracket. That led to EHOME and Newbee facing off for the last slot. With EHOME rebuilding their roster after a huge fallout and Newbee fielding their own, newer look, it was a very competitive match that ended with EHOME moving into yet another DPC event. The last region to settle their qualifiers was Europe—but the top spot was quickly snatched by Ninjas in Pyjamas. They only dropped one match throughout the entire event. After being bested by top-seeded NiP, Alliance had to fight their way through the lower bracket—but they made short work of the teams who opposed them in order to attend the Minor. @NiPGaming and @theAllianceGG are the two EU teams that have qualified for the AMD SAPPHIRE DOTA PIT MINOR 2019. Congratulations to both teams and see you in Split! The eight teams in attendance at the OGA Dota PIT Minor will be battling for their share of $300,000 and 500 Pro Circuit Points. The winner of the event will also earn the final ticket to compete in the MDL Disneyland Paris Major starting on May 4. Matches will take place from April 22 to 28.